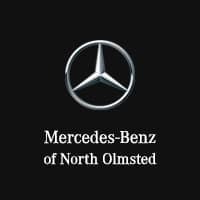 Welcome to our Mercedes-Benz of North Olmsted Service Center. We feature state-of-the-art facilities, top-quality equipment and certified, factory-trained professionals to care for your car. Our mission is to keep your vehicle operating at its best. Whether its scheduled service, new tires, a parts replacement, or collision repair, our Service Center is dedicated to servicing your car efficiently and quickly so that you can live your busy life with minimum disruption. Mercedes-Benz vehicles are built for decades of reliable performance, and it’s our job to help ensure long service by providing quality care and keeping your car running at its peak. We do it all, from basic service like an *oil change to replacing engines and rebuilding transmissions. We offer quick turnaround for routine service like *oil changes, air conditioner recharge, tire rotations, and many others. If your engine light comes on, let us prevent serious damage by diagnosing and fixing the problem. Maintenance costs are relatively small compared to major repair expenses. Proper maintenance prevents small problems from mushrooming, extends you car’s life, protects your warranty, and minimizes the overall cost of ownership. We offer Express Service so that you can get in and out quickly without making an appointment. Our Collision Center will repair your car if you experience a crash or other damage. Our Service Center use Genuine Mercedes-Benz OEM (original equipment manufacturer) Parts, specifically fabricated for your vehicles. OEM parts are manufactured for your vehicle according to the automaker’s exact specifications, ensuring precise function and fit. Cheap aftermarket parts a can damage your car and void your warranty. It pays to demand OEM parts to keep your vehicle running at its best. Our Tire Center has a variety of top-quality brands specifically recommended for use on your Mercedes-Benz vehicle. Check out our Service and Parts Specials to save money. The deals change over time, but we always offer specials that reduce your costs for parts and labor. We also offer deals on Genuine Mercedes-Benz Accessories to keep your car looking great. We sell tires, all-weather mats and many other items that help ensure maximum enjoyment from your high-performance Mercedes-Benz vehicle. Whatever your automotive needs, we invite you to visit our Mercedes-Benz of North Olmsted OH Service Center. You’ll find our quick, expert service and competitive prices the gold-medal combination to keep you and your vehicle happy. $100 savings certificate on $200 or more worth of service. Please use the buttons below to schedule service at our dealership or contact our Service Department. You can also call us at 440-716-2700. Keep your Mercedes-Benz newer, longer. With First Class Interior and Exterior Protection, featuring DuPont™ products, a protective coating is applied to the carpet, fabric, leather, and paint. This helps protect your vehicle against stains and marks, while helping to preserve your vehicle’s overall appearance. Why do I need First Class Interior and Exterior Protection? Your Mercedes-Benz vehicle is not only a mode of transportation, it’s also a reflection of your lifestyle. With First Class Interior and Exterior Protection you can safeguard against environmental factors and accidents that could alter the appearance of the vehicle’s interior. At the same time, you protect the high-gloss finish of the paint. Coverage does not guarantee the carpet, paint, fabric, or leather, alloy wheel or exterior headlight will, in all cases, be restored to its original condition. Not all types of damage are covered; for example, damage caused by certain common household substances is not covered. Coverage does not apply to theft, vandalism, fire, collision, rust, chipping or flaking paint, rips, tears, burns, punctures, damage due to corrosive materials, headliners or convertible tops. For stains caused by dyes or ink, remedy will be cleaning and professional redying of affected area. Remedy for exterior headlight is professional reconditioning only. DuPont™ is a trademark of E.I. du Pont de Nemours and Company or its affiliates and is used under license by Advantage Product Pipeline, LLC. This is an optional product offered and administered by Advantage Product Pipeline, LLC. Certain exclusions apply. Please see your dealer for more information and refer to the Limited Product Warranty for the DuPont™ Automotive Protection Package for further details, coverage, limitations, and exclusions.